Mount Pleasant may be look small on a map, but the town packs in a lot of punch with countless shopping areas, restaurants, and places to watch the sunset throughout the area. 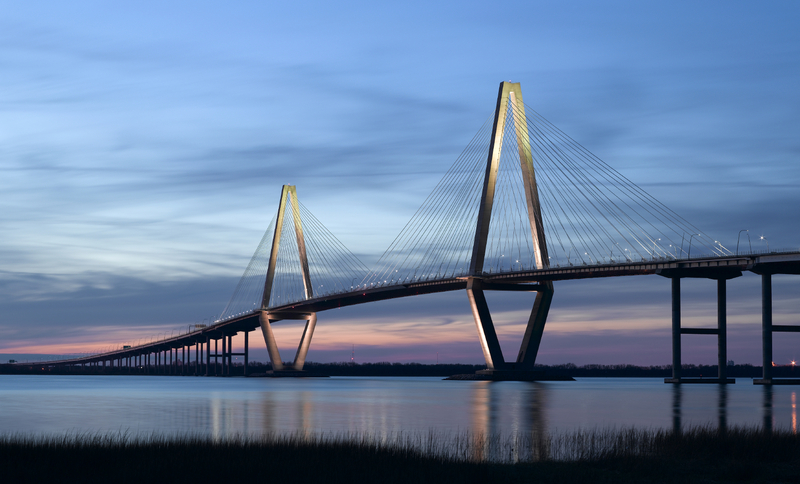 From Shem Creek’s offerings along Coleman Boulevard to the possibilities aplenty at Highway 17’s Mount Pleasant Town Center, adventure awaits at every turn. Anyone who’s been to Woodhouse Day Spa knows this place doesn’t hold back in its offerings of luxurious pampering. The spa gives all a little TLC, relieves stress, and nurtures your well being. Everyone gets a robe and reflexology sandals upon arrival before unwinding in the quiet room, where loose-leaf teas await to begin the day of everything from waxings and skin care to massage therapy and sleep treatments. Woodhouse also offers a girls getaway weekend package, complete with hot stone and four-handed massages, facials, microdermabrasion, pedicures, and more. Learn more at charleston.woodhousespas.com. Spoil yourself with a day at Mount Pleasant Town Center, where not only can you update your wardrobe at Copper Penny Shooz, Banana Republic, Teal Boutique, White House Black Market, Victoria’s Secret, Belk, Chico’s, and Apricot Lane Boutique, and more, but you can also grab some tea at Teavana, some wine at the Wine Cellar, a pedicure at Sandals Nail Spa, and a Margarita at Qdoba Mexican Eats. To reward yourself even more, top it off with a film at the onsite cinemas. Surrounded by beauty and charm, the six-room Old Village Post House Inn is a sweet wee spot for a staycation night away, but the restaurant is what makes the building renowned. Most days you’ll find seafood bliss with specialties like crawfish soup, broiled oysters, crispy calamari, chili-rubbed ahi tuna, grouper, crab cakes, shrimp & grits, lobster, crab-crusted salmon, and much more. But for Sunday funday, get brunch dishes, like deviled crab cake benedict and the Shem Creek omelet, with shrimp, crab, cheddar, and spinach. Don’t forget to start with a Sunrise Sparkler, a carafe of cava with peach nectar, blueberry pomegranate juice, and OJ. 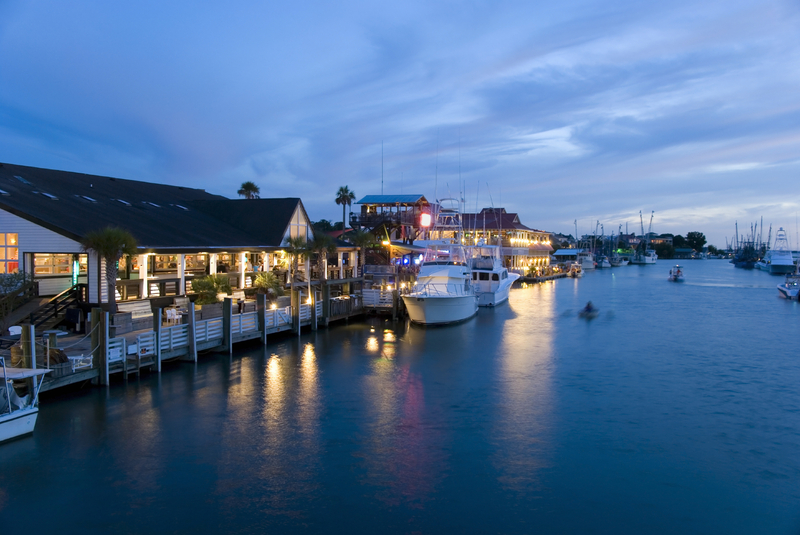 Speaking of Shem Creek and drinks, nothing says ‘this is the life’ quite like a sunset cocktail on Shem Creek. Whether you want live music at Red’s or a quiet view of the water at Vickery’s, there are plenty of places to perch and pass the hours. Tavern & Table, Shem Creek Bar & Grill, Water’s Edge Cabana Bar, and RB’s are just a few more spots where you can not only sip to the best sunset view in Charleston but you can also grab some of the freshest seafood around. The Charleston Water Taxi is always a fun way to travel on days you’re focused solely on adventure and relaxation, but the company also offers a dolphin watch cruise on Saturdays from 10 a.m. to 6 p.m. The ultimate way to unwind, the dolphin watch cruise lasts for an hour but $10 gets you an all-day pass so you can while away all the hours your heart desires. Departs from Patriot’s Point and the USS Yorktown.